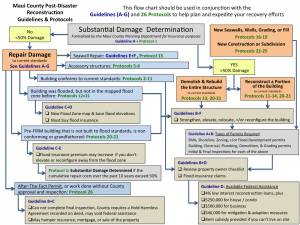 To rebuild safer, stronger and smarter, we developed a novel, innovative approach for government review and permitting of reconstruction and repair of buildings and homes damaged by a hurricane or major coastal storm. The project included site visits, outreach and engagement of the underserved communities of Molokai, Hana/Kaupo, and Hawaiian Home Lands, and focus group workshops in Paia, Lahaina, and Kihei. A Project Advisory Group comprised of stakeholders from the construction, vacation rental, condominium, hotel, and media sectors, and civil defense, public works, parks and other government entities, provided critical guidance and ground-truthing of the ideas and options generated. 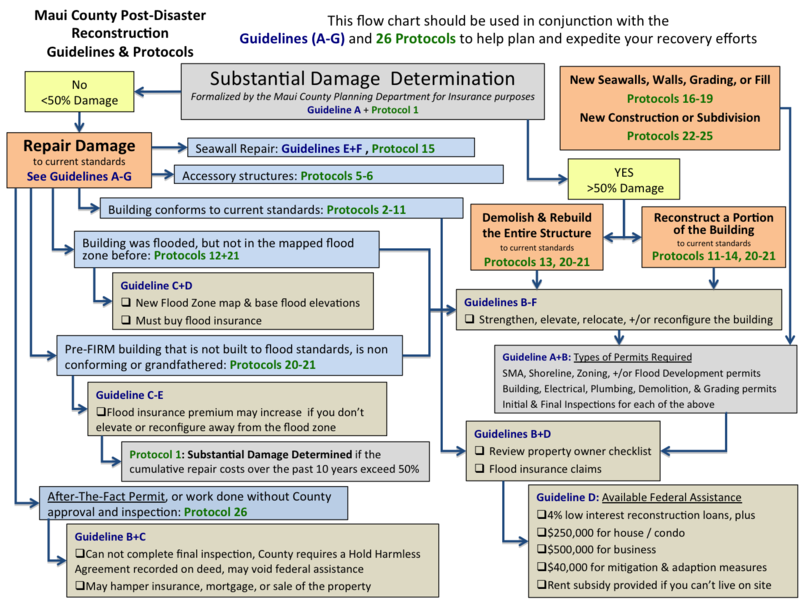 The final report included 70 recommendations for the County to consider implementing, as well as tailored messages for each community based on its vulnerabilities and exposure that should be considered in the aftermath of a major coastal storm event. The project significantly improves the County's ability to respond to a hurricane and help the Island's communities rebuild in a more resilient manner.